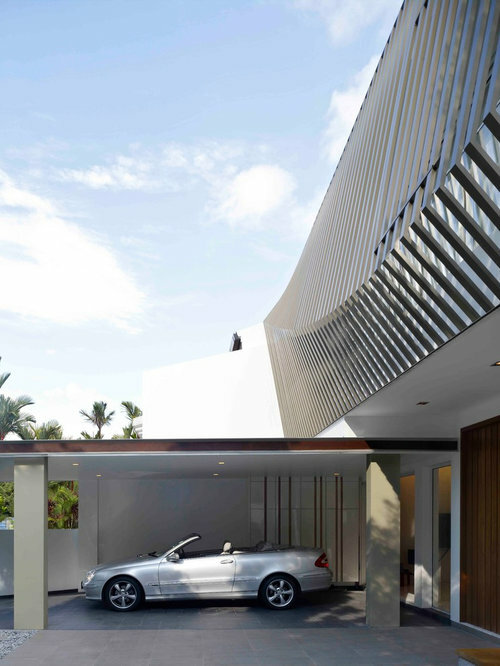 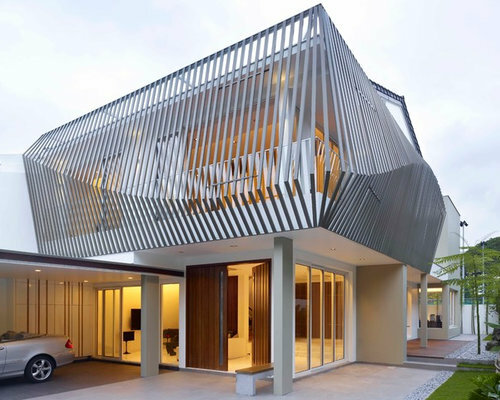 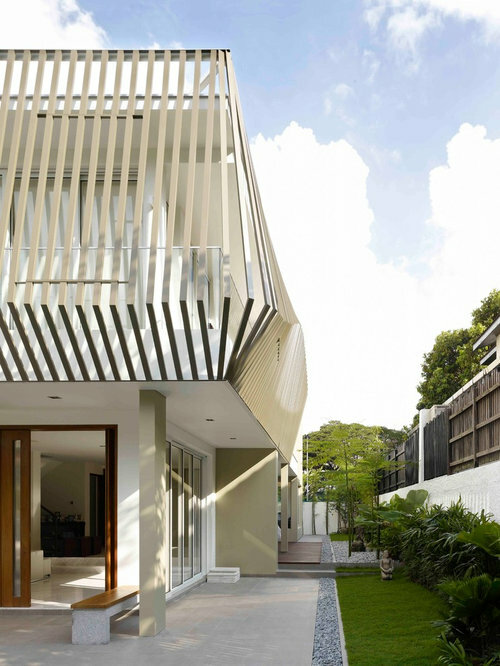 This fascinating residential refurbishment is on Mt Sinai Road, a quiet secluded road, to the west of the city of Singapore. 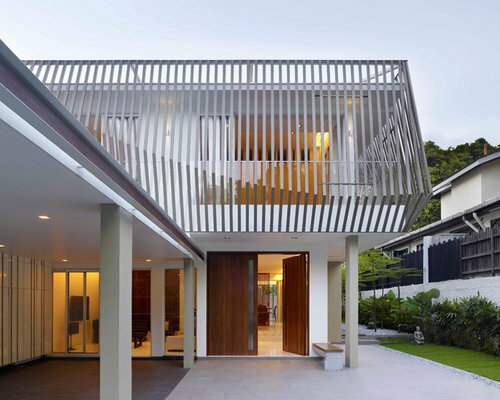 The design solution for this addition and alteration project is a distinctive geometric form enveloping part of the existing structure. 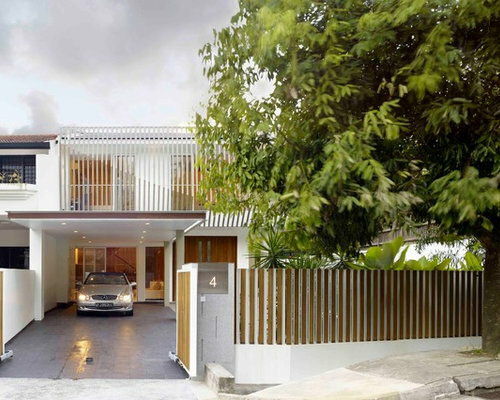 Prying eyes from the street and from neighbour’s cannot be avoided especially in dense residential areas in Singapore. 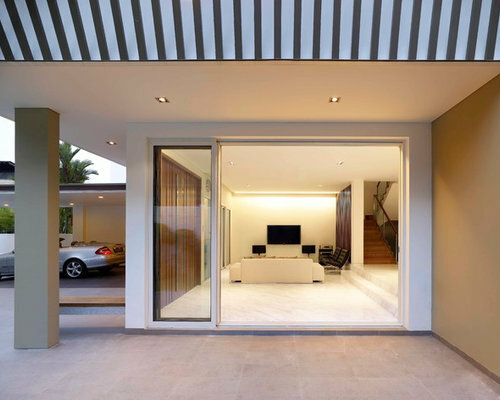 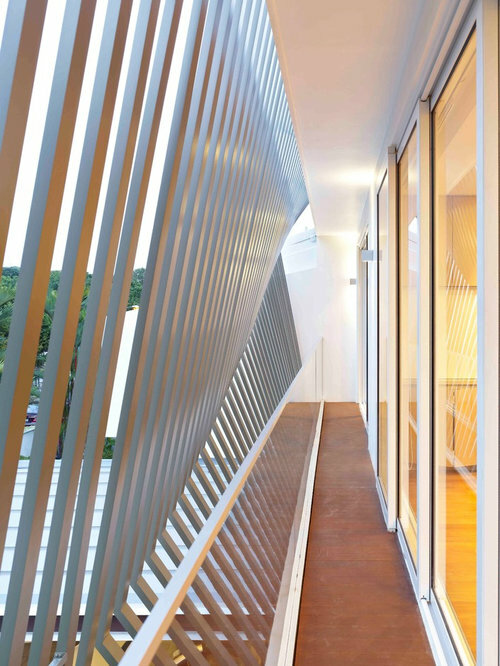 However, the introduction of the screen cleverly blocks the neighbour’s line of sight through its density and angle. 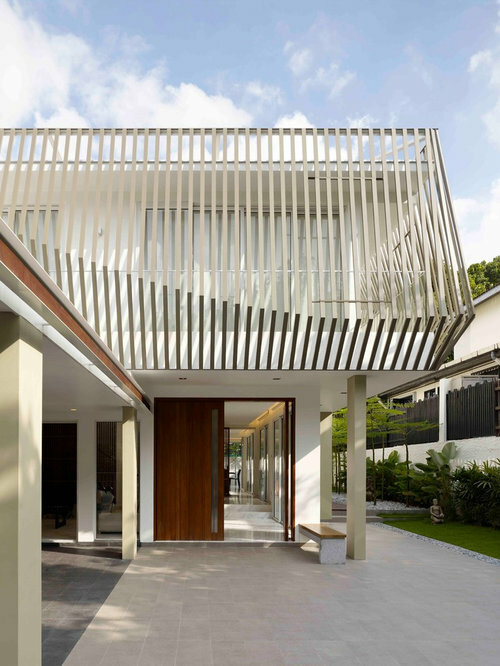 The fluid screen wraps around the building, mitigating the proportions of the existing structure, unifying the form and creating a shaded space.